is honored on Panel 1W, Line 93 of the Vietnam Veterans Memorial. Tony Shine soloed me in 1964. I owe him two great careers : 35 years in the AF, and 33 + 4 in the airlines. He was a tough -gentle - giant ! God bless you Tony Shine. The "Friends of Rocky Versace" remember Lt Col Anthony Cameron Shine, whose older ('63) and younger ('69) brothers attended the U.S. Military Academy at West Point, on what would've been his 78th birthday - 20 May 2017. My mother gave this to me to hold onto. With the help of the internet maybe it will rightfully make it's way to his family. 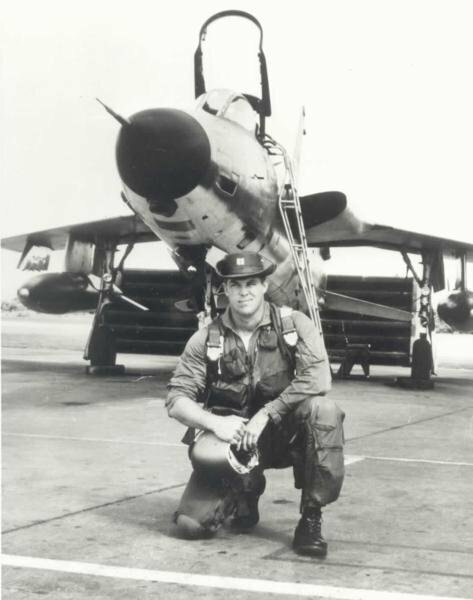 I was assigned to the 355th TFS in June '72. The first man I met was Capt. Tony Shine. A large man with a booming voice. I quickly learned what I could from him. Heart, attitude and commitment to the job, the important things. Mainly heart. It was an honor to fly his wing, especially in combat. It was strange not caring about dying, but I was scared to death that I may foul up in Tony's eyes. The only thing he loved more than flying fighters was his family. They can walk tall in his shadow, as they will make their own shadow. God, take care of my friend. See you later, Tony.